Series of high tables with top in chamfered and tempered mm. 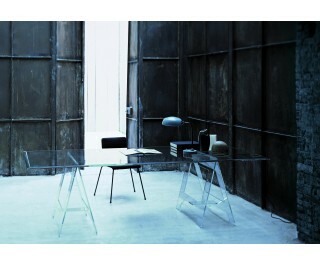 12 thick transparent extralight glass, supported by two trestles realized in tempered and glued mm. 12 thick transparent extralight glass.